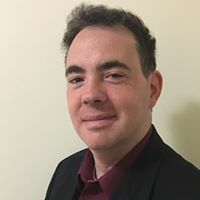 Ian Nathaniel Cohen is a native of Miami, Florida, where he grew up immersing himself in swashbuckler literature and film. He graduated from the University of Central Florida in 2003 with a BA in Radio/Television Production and a Minor's Certificate in Applied Computer Science. He also received his MA in Asian Studies from Florida International University in 2006, where he teaches the course Asia Through Film as an adjunct lecturer. In 2010, his essay "Heroes & Villains of the East", analyzing the evolving depiction of the Japanese in Chinese and Hong Kong martial arts cinema, was published in FIU's Japan Studies Journal. He also writes a reivew blog, the INCspotlight, focusing on classic films, comic books, and video games. ​A swashbuckling tale of intrigue, conspiracy, and high-seas adventure! The year is 1721, and the newly United Kingdom is struggling with pirates in the Caribbean, Jacobite insurrections, and an economic crisis. Michael McNamara is a casualty of the last of these, suddenly finding himself out of work – and not for the first time. For thirteen years, he fought for king and country as an officer in the British Royal Navy, until his unjust expulsion. Stripped of his rank, commission, and sense of purpose, he sets sail for the up-and-coming city of Kingston, Jamaica in search of a new beginning. The day he arrives in Kingston, McNamara outfences a gang of pirates, earning him an invitation to a party hosted by the governor of Jamaica. Among the guests is Dona Catalina Moore, a lovely young widow. McNamara is instantly smitten, but she is engaged to the celebration’s guest of honor: Captain Stephen Reynard, a notorious pirate who renounced buccaneering to win Catalina’s heart. Reynard has vowed to apprehend seven pirate captains and bring them and their ships to Bristol in exchange for a royal pardon and knighthood. He’s already captured six, and he will soon be setting sail to apprehend the final pirate for his collection. Eager for the adventure and the opportunities it could bring, McNamara joins Reynard in his last pirate hunt before turning to England. His mission pits him against treacherous seas, battle-hardened buccaneers, and an international conspiracy that threatens thousands of lives - including Catalina's.